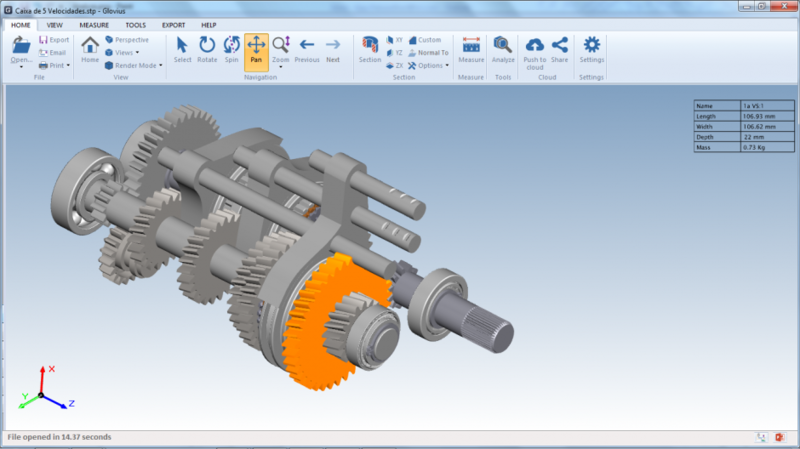 View popular CAD files without a CAD license. Zoom, Pan rotate models. Hide, Isolate components from the component tree. 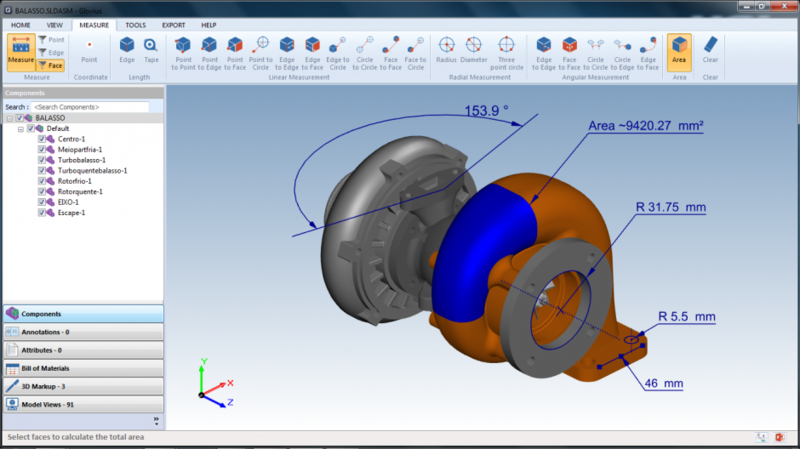 Perform linear, angular, radial and surface area measurement using intuitive point, edge, face and circle filters. Cut sections along standard planes to custom planes. Measure in the section plane. 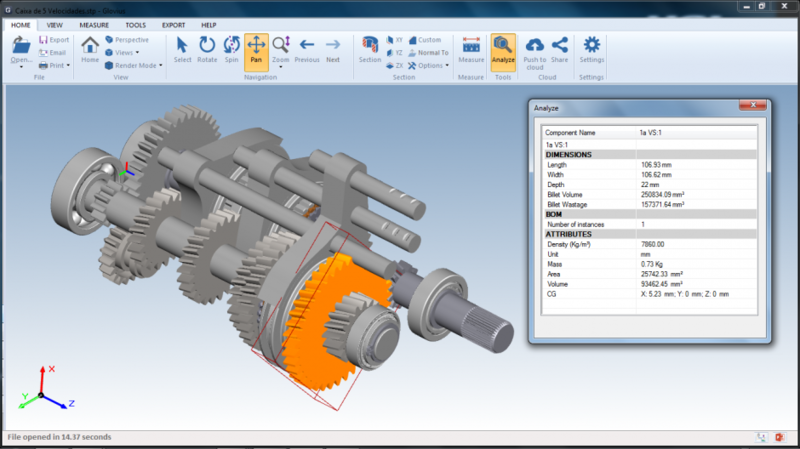 Get one click overview of components using the Analyze feature. 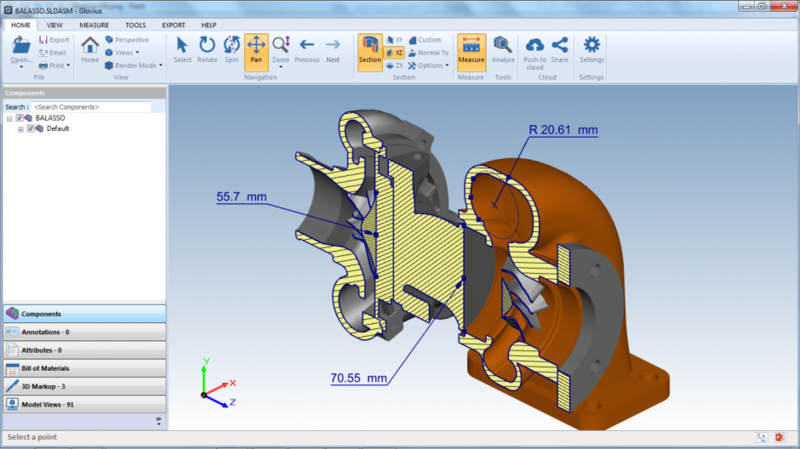 Shows extent dimensions, mass, volume, surface area and center of gravity. 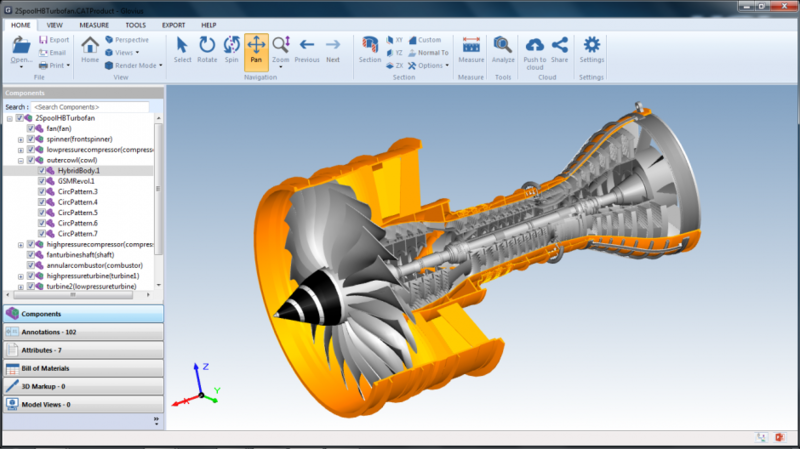 The Analyze in 3D feature shows the extent dimensions and mass properties of the selected component on the display window at all times. 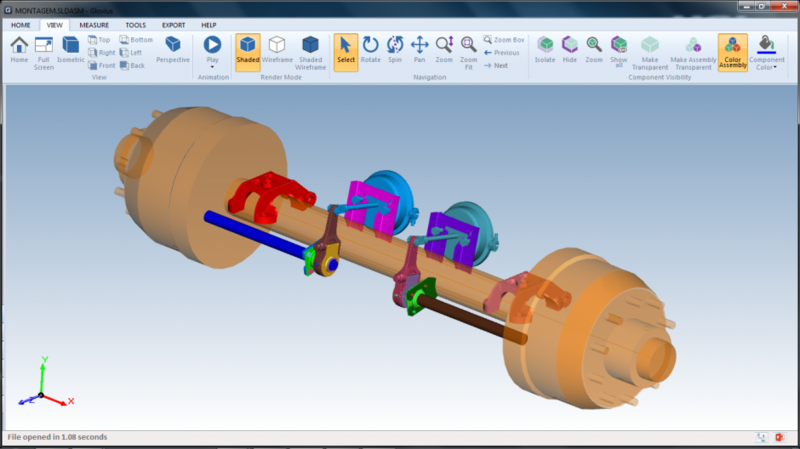 Apply color and transparency effects to individual components or the entire assembly. 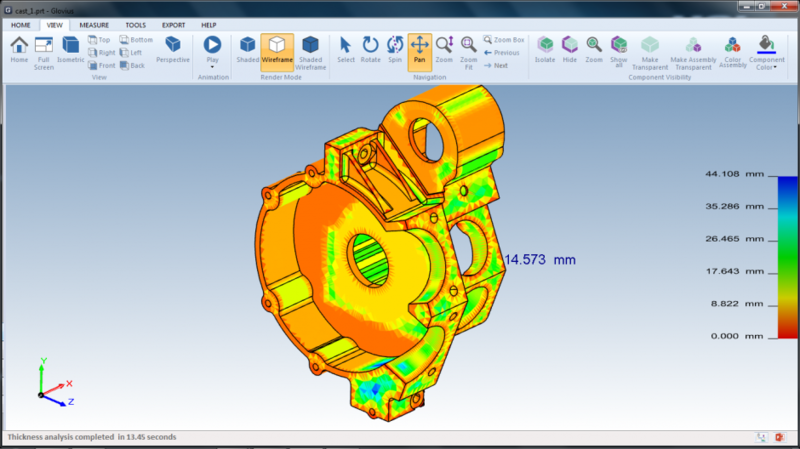 Analyze component thickness to identify thick & thin regions.